George Zimmerman arrest: Samantha Scheibe calls police over domestic violence. He never should have had a gun. To no one’s great surprise, George Zimmerman once again needs his suit to go to court. In another unsurprising development in the George Zimmerman saga, Zimmerman was arrested and charged with domestic battery and domestic aggravated assault with a weapon on Monday. During an argument with his new girlfriend, Samantha Scheibe, Zimmerman allegedly forced her out of the house by pulling a shotgun on her and barricaded the door. She gave the police her key, but they had to shove open the barricaded door. Since being acquitted of murdering Trayvon Martin, Zimmerman has had a number of run-ins with the police, including another domestic disturbance call during a fight with his wife after she filed for divorce. 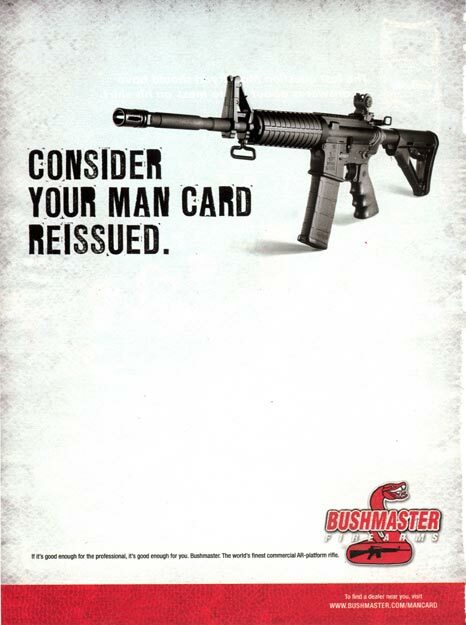 Guns are routinely advertised in this country with hypermasculinized power fantasies, even going so far as promising to restore your supposedly lost manhood. Little wonder then that abusive men, who are the epitome of those who use violence and control to establish their masculinity, frequently turn to guns as weapons to hurt and dominate their victims. Harvard researchers have discovered that batterers who own guns frequently use them to threaten their partners into compliance. Having a gun in the mix when there is an abusive relationship makes the relationship way more dangerous for the victim. A woman is five times as likely to be killed by an abuser if there’s a gun in the house, leading to 46 women a month getting shot to death by their partners or former partners. Notice I say “in the house.” Conservatives often like to tout gun ownership as a solution for women enduring domestic violence, but it’s distinctly bad advice to tell a woman who is being routinely hurt and threatened to bring a gun in proximity to a man who is very likely to use it. However, tightening up gun laws is known to make it better for victims of domestic violence. States that pass laws requiring a background check on all handgun sales have 38 percent fewer gun murders of women at the hands of current or former partners. A quarter of a million domestic abusers have tried to buy guns in this country, only to be unable to pass the background check. Unfortunately, the Zimmerman situation demonstrates why even having more comprehensive background-check laws may not be enough to keep legal guns out of the hands of angry, belligerent men who are eager to pull them on anyone they feel entitled to control. Despite a history of frequent run-ins with the police and one dead teenager, Zimmerman hasn’t been convicted of the kind of crime that would make him ineligible for gun ownership. Is there a way to make it easy to get as many guns as you want without making it a gun bonanza for people who find them attractive as totems to express their unjustified paranoias and their desire to instill fear and obedience in the people around them? It doesn’t really seem that there is, which is why so many other countries have decided to lower their murder rates with extensive bans and gun buyouts, to great success. To be blunt, there’s a problem with any legal regime that allows a George Zimmerman, after all that has happened, to still have a gun with which he can threaten his girlfriend. This country needs to get to fixing it.